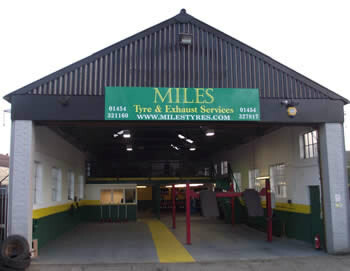 We carry stock of premium brands such as Michelin, Goodyear and Continental, however, we also offer a good selection of mid-range and budget tyres all at very competitive prices. Being main agents for Falcon tyres allows us to offer this excellent quality mid-range tyre at the best prices in the area. Giving the premium brands a run for their money in regards to performance and mileage. Our state-of-the-art Hoffman fitting machine includes a full set of assister arms, which allow us to fit tyres of any size up to 24 inch, including run flat tyres, while helping to avoid damage to alloy wheels. An essential factor for ensuring long tyre life and good vehicle handling is properly aligned wheels. Our high spec Hunter Hawkeye 4 wheel alignment system provides a highly accurate measurement. The system provides a measuremnet of a minimum of 12 angles and compares them to the alignment data specified by the vehicle manufacturer. 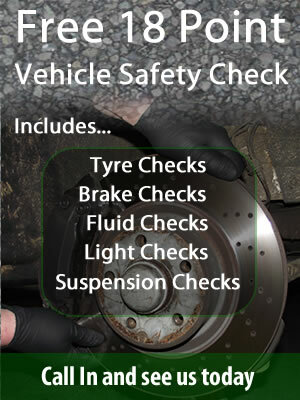 Also taken into account is wheel rim run-out compensation, which gives accurate readings. The system allows toe adjustments of individual wheels which ensures the steering wheel is set correctly. Further adjustments of caster, camber and other angles can optimize savings and performance. 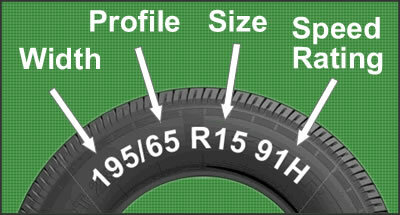 The tyre size is located on the side wall of the tyre. 15 is the diameter of the wheel in inches H is the tyre speed rating. If you’re unsure about the tyre size you require just give us a call and we will be happy to advise you.